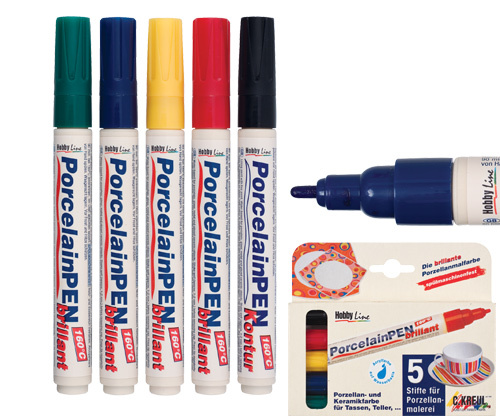 Add detail to your ceramics with these felt tipped markers. Water-based and designed for porcelain, glass and ceramic objects. Shake well before use. Let dry for 4 hours. Cure in oven for 90 minutes at 160°C. If markers are used on items such as Ceramic Mugs, leave lip line free of decoration.